The paper crafting world is full of flowers and fairies and all things girly, but it is a little harder to find just the right thing for the little boy or man in your life. 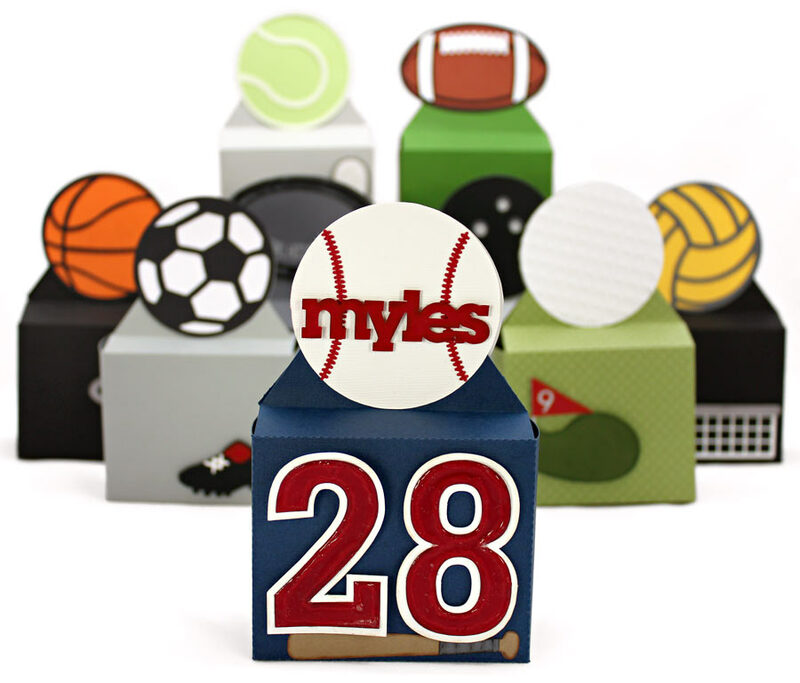 The Sports Gift Boxes Collection was created with my sports-loving son in mind, but it will fit the bill for any special athlete or sports fan in your life. These boxes would make great end of season treat boxes for a sports team or a coaches gift, or get started on your Father’s Day gifts now. 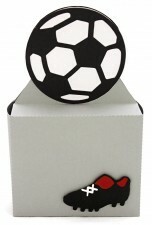 Each box features a tab and slot closure hidden behind the ball topper, and a coordinating smaller image for the front of the box. Add the athlete’s jersey number or name to personalize it just a bit more. By becoming a subscriber to Pazzles Craft Room you will have access to this image collection as well as thousands of other cutting files, hundreds of projects, and so much more! Click Here to Learn More About Member Benefits! Purchase this image collection now and get it in SVG, WPC, and AI formats. These are just perfect for the sporty boy or man! Love them, such a great collection. These are really great. – but I REALLY need a rugby ball and scum cap. I think if you left the stitching and white bands off the Football, it would look like a Rugby Ball. Don’t know about the scrum cap… I think you could modify the helmet easily. If it were welded as one piece, would that work? 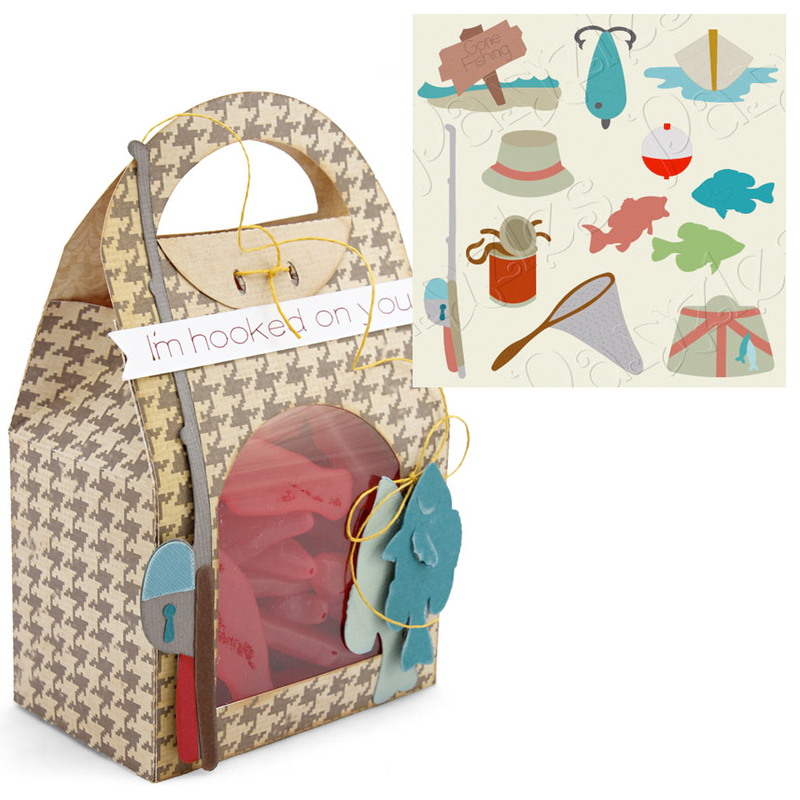 These would be cute for kids to put together with a homemade gift inside for Father’s Day.